A look into the concert venues filling the void left by Webster Hall. Webster Hall may be reopening in 2020, but the venue as we knew it is gone for good. The famous Manhattan concert hall, which had been operational for over a century, was one of the last of its era to resist being bought out, gutted, and converted to a sports arena or a Target. But the winds have been changing in lower Manhattan for a while now, and the time has finally come for Webster to shut its doors, slated to reemerge in a few years with a chic corporate facelift à la Chelsea Hotel. Not only was Webster a staple in the NYC music scene, it was something of an NYU mainstay as well. Nestled on East 11th Street between 3rd and 4th Ave, Webster was a stone’s throw from Third North and walkable from anywhere on campus. For many students, it was the site of their first concert in the city. For me, it was where I got my first fake ID taken away. Seeing Webster shut its doors is another sad reminder of how quickly things change in a city like New York. Watching Action Bronson close out the venue’s final concert felt like some bizarre admission of guilt: Webster just doesn’t know what we want anymore. Baby’s All Right: If Brooklyn music venues were high school stereotypes, Baby’s would be prom queen. Not exactly DIY (it was designed by the same group behind the Box), the Williamsburg venue functions as a chic bar and restaurant by day. Still, any list of cool venues would be incomplete without it—Baby’s books some great artists, and this year’s calendar includes The Orwells, Homeshake, and Diet Cig. Market Hotel: Market Hotel has been playing with our emotions for the past few years: after being shuttered in 2010 for lack of a liquor license, the subway-adjacent Bushwick venue enjoyed a brief return in January 2016 before being shut down again last August. But according to Market Hotel management, a new license has been obtained and the venue will return with full force next month. Maybe get tickets to the earlier shows, just to be safe. Sunnyvale: As far as stage setups go, Sunnyvale is about as DIY as it gets, thanks to its novelty lighting and low ceilings. Shows here capture all the intimacy of a high school talent show―that is, if your high school talent show had a penchant for garage rock and bedroom pop. Sunnyvale is an all-ages venue, so if you’re not 21―or, at least, lack the credentials that say otherwise―don’t sweat it. Elsewhere: If you didn’t grow up in or around the city, chances are you didn’t make it to a Glasslands Gallery show before the Williamsburg venue’s 2014 closing. 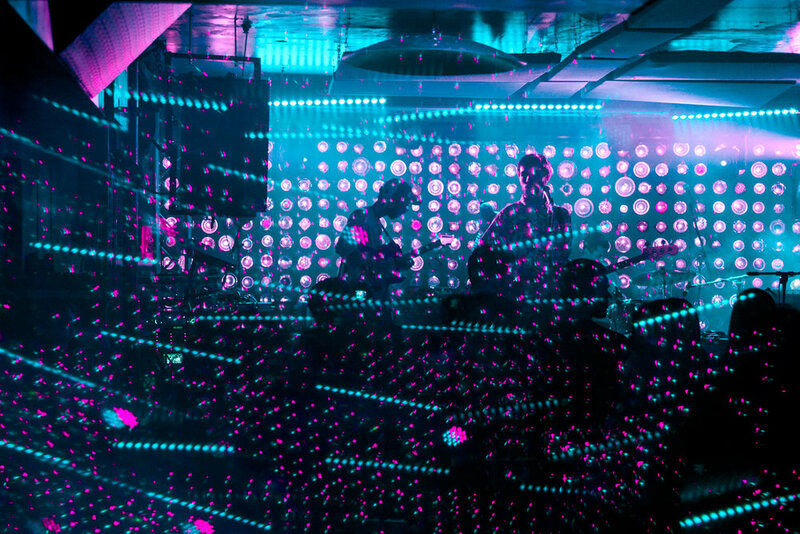 In its heyday, though, it hosted artists from Beach Fossils to Mitski, and its side project PopGun Presents—a Brooklyn-based promotion/production company—has continued to put on great shows around the city since 2008. But if, like me, that’s still not cutting it for you, never fear! The music lovers behind PopGun and Glasslands are opening their new venue, Elsewhere, next month. Elsewhere promises to be bigger and better than its fallen brother, with upcoming shows featuring acts such as Parquet Courts and Sunflower Bean.